We are an SSAIB certificated security systems provider, and we’ve just successfully been re-assessed, but so what? What does that actually mean to you, the householder, the business owner, the landlord etc? SSAIB (Security Systems and Alarms Inspection Board) is a certification body that assesses security systems providers against a national standard. 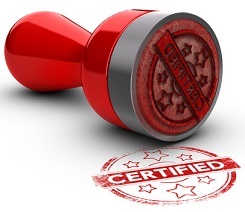 All firms that are certified have undergone a thorough audit to assess its products, installations and services. So how does that benefit you? Well, the remit of the SSAIB as a certification body is to look out for the interests of the consumer. By enforcing strict quality and performance standards, you know that any certified provider has met those standards, as assessed by an impartial third party. Assessments are carried out every 3 years so it’s never been longer than that since they’ve been checked. It also has other benefits; most insurance companies will ask whether your burglar alarm is fitted and maintained by an SSAIB certified company and give a discount to those who are. You also have additional redress with the SSAIB should there be an issue that you don’t feel the company has resolved to your satisfaction. Being an SSAIB certified provider is important to us because it demonstrates the high standards that we set ourselves and achieve. We have been certified consistently since 1994 and we’re pleased to have just been approved for the next 3 years. We approved under Intruder Alarm Systems, CCTV Systems and Access Control Systems scopes. You can check our status on the SSAIB website at any time. If you are ever seeking a provider to do anything to your security systems (including servicing and repair as well as installations) you would always be advised to only appoint an SSAIB certified (or other industry recognised scheme) firm because if a company isn’t approved you would have to question why. See the SSAIB website here.